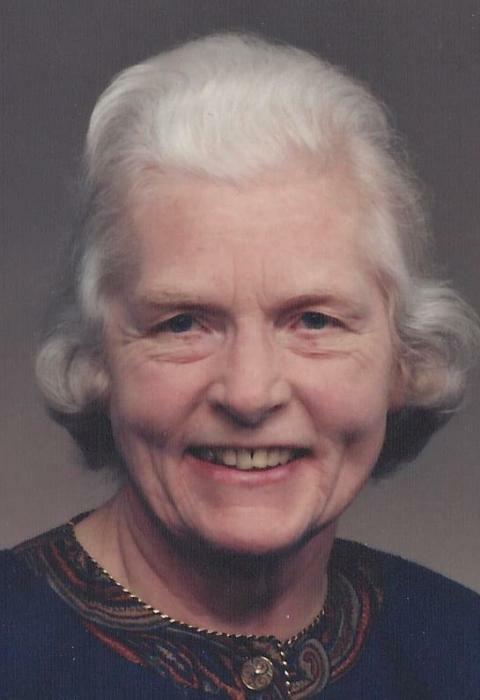 Obituary for Lavina Strandlund | Esterdahl Mortuary and Crematory, Ltd.
E. Lavina Strandlund, 97, of Moline, passed away Monday, August 20, 2018, at Genesis Medical Center, Illini Campus, Silvis. Funeral services will be held at 10 a.m., Saturday, August 25, 2018, at Homewood Evangelical Free Church, 3303 60th St., Moline. Rev. Mark Frazee will officiate. Visitation will be from 4-7 p.m., Friday, at Esterdahl Mortuary & Crematory, Ltd., 6601-38th Avenue, Moline. Burial will be at Moline Memorial Park. Memorials may be made to Homewood Evangelical Free Church. All need to use 70th Street for access to the funeral home due to the road construction. Lavina was born on March 30, 1921, in Buda, IL, the daughter of George Earl and Pearl Alice (Decker) Dillman. She graduated from Tiskilwa High School in 1939 and from Scovill Business College, Sterling, Il. in 1941. She married Archie Strandlund on June 6, 1945, in Chicago. She had previously worked at Swift & Co. in Chicago. Lavina was a charter member of Homewood Evangelical Free Church, served as a volunteer secretary during its early years, and was a member of their White Cross Ministry. She enjoyed reading, sewing, and spending time with her family. She was a devoted wife, mother, and grandmother. Survivors include her husband, Archie; daughter, Gloria (John) Vana, Moline; son, Roger (Carol) Strandlund, Moline; grandchildren, Craig (Rouxlé) Vana, Dike, IA, Kristin Vana, Denver, CO, Amy (Travis) Jargo, Austin, TX, and Tim Strandlund, Fayetteville, AR; great grandchildren, Natalie Roelofse Vana and Heidi Lavina Vana; many nieces and nephews. She was preceded in death by her parents, sisters Betty Ann Thompson and Violet Niedt; and a brother, Edward Dillman.